This INSTANT digital download French Macaroon Chef and Teacup paper doll is one of the characters that makes up my Marie Antoinette French Paper Doll Parade. Simply print out in color using your inkjet printer, cut, assemble per my instructions, and stain the cardstock character with coffee to make it look like an actual antique! 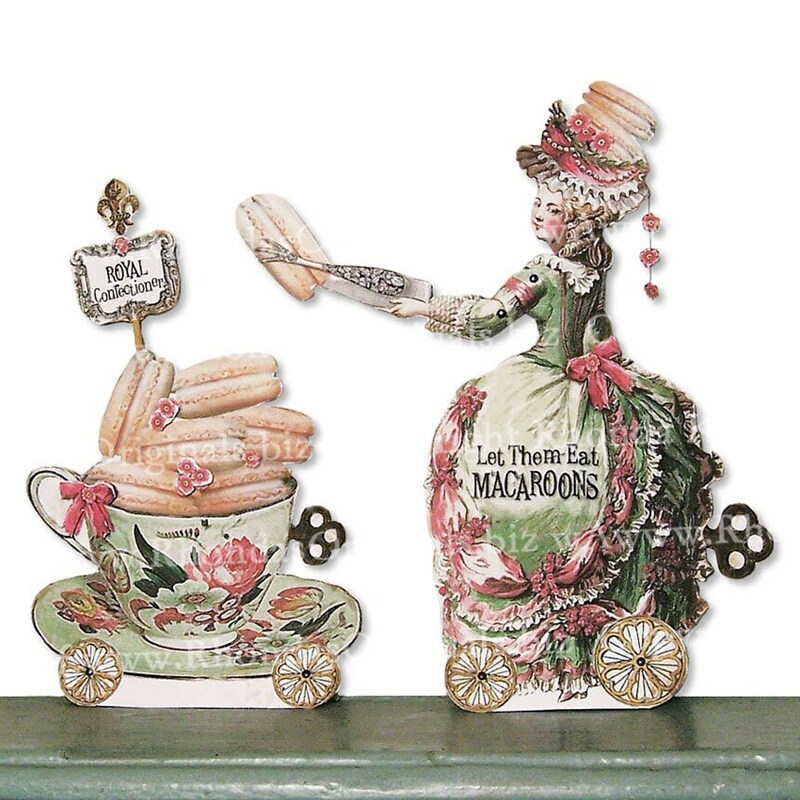 You can also use the vintage Victorian images in your paper craft and scrapbooking projects! My paper dolls also make great one-of-a-kind 3D greeting cards! MA24 - Mademoiselle Amelie (French for hard-working) is the Royal Confectioner. She is in charge of the desserts at the Queen's Dinner Party. Signage comes in French and English. Some parts dangle by threads. Wheels spin. Arm moves. BUYER NOTES: Digital downloads are not returnable. See my policies before purchasing. Jpg version. How-to instructions are pdf.